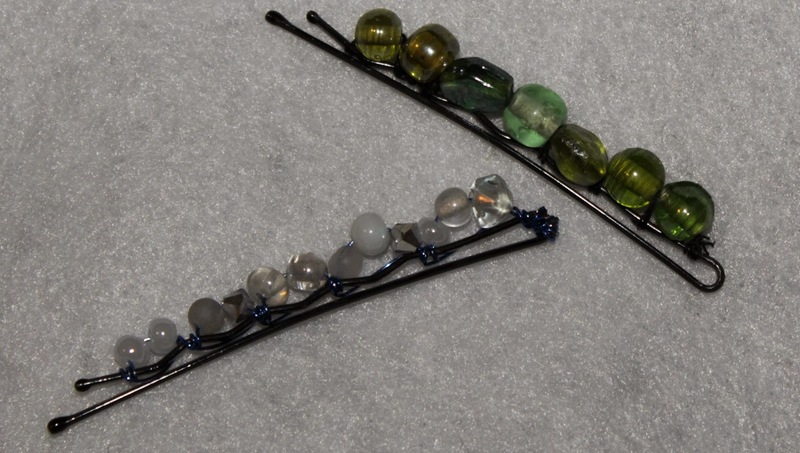 My day 15 project was Beaded Bobby Pins. The idea came from this pin that I came across last year. 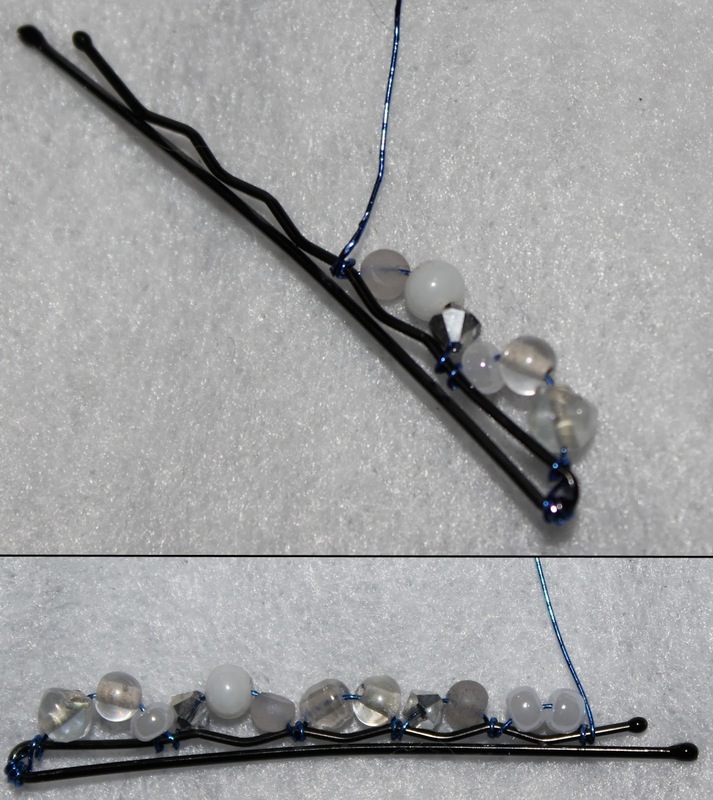 The pin is straight-forward: bobby pins, thread, and beads. 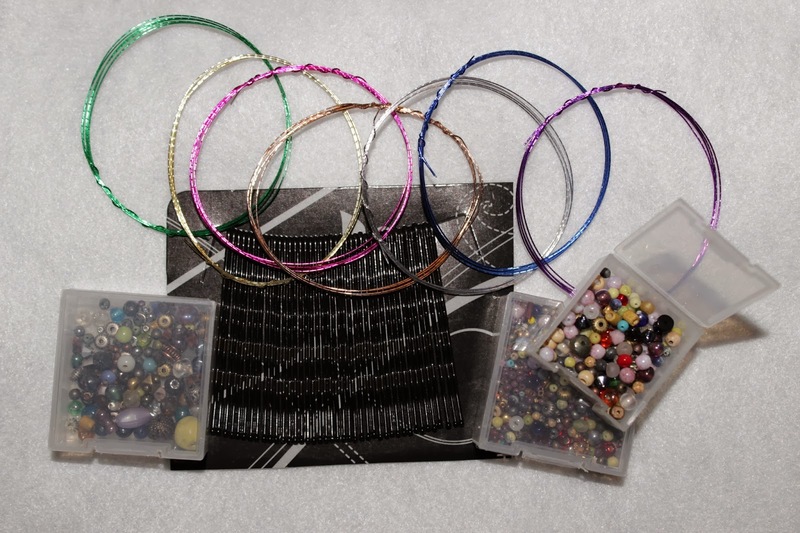 I decided to start out with some 28-gauge sampler jewelry wire instead of thread. I started off with wrapping one end of my wire around the inside curve a few times. 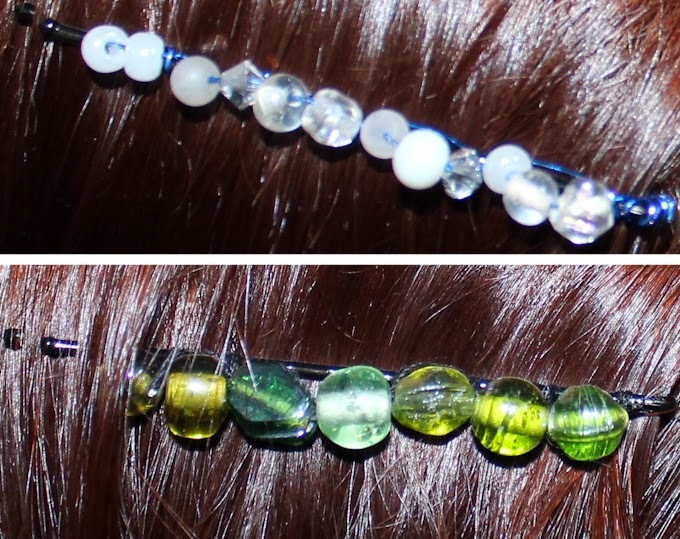 Then I put on 2-3 beads at a time, wrapping around the top wire in-between bead sets as I go. I did a couple of wraps when I got to the end. Next I wrapped the wire back around, doing one loop between each set on its trip back. 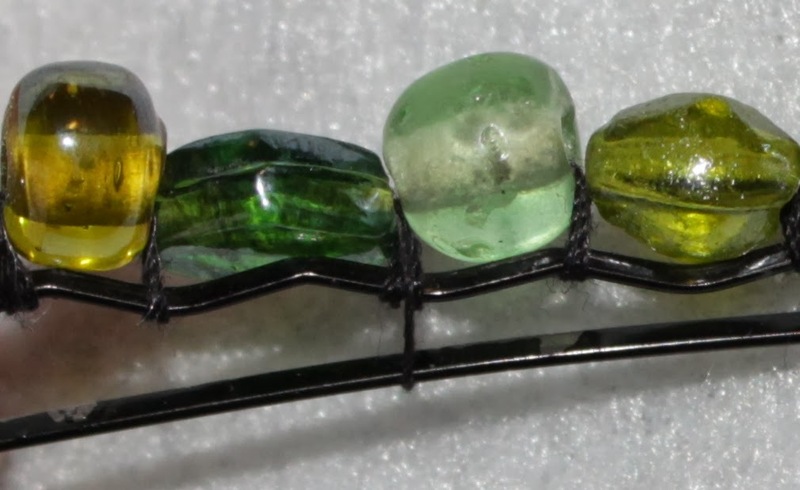 When I got back to the inside curve, I did several more wraps around before cutting the wire and flattening it down. Finally I applied a dab of clear nail polish on the snipped end to help secure it in place! 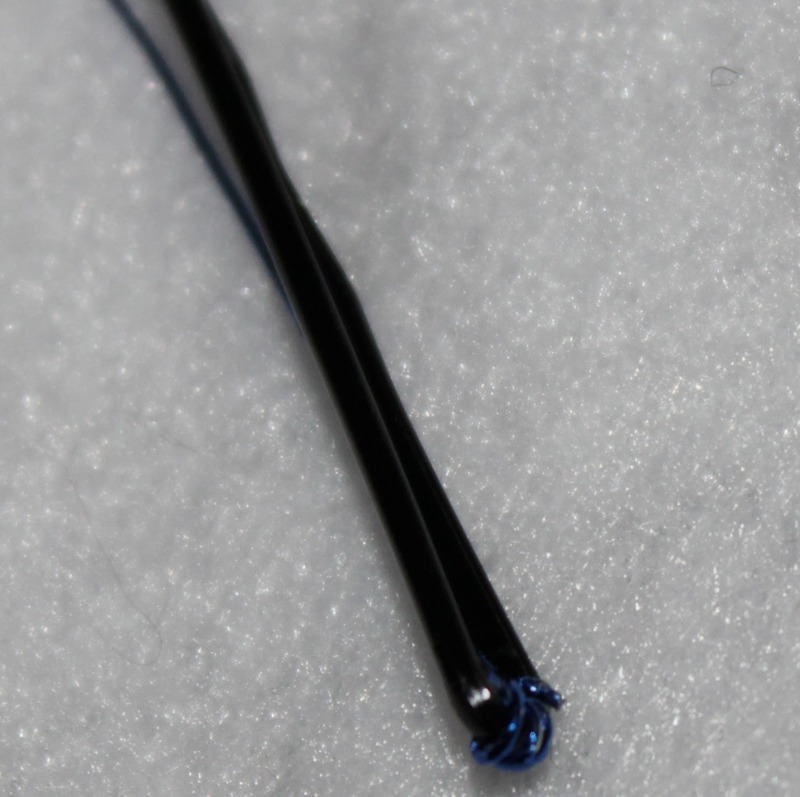 Now, I did also try the thread method shown in the pin after I did the wire wrap. Maybe it’s my ineptitude at anything sewing related, but it took me over twice as long to complete the pin. That particular one I discovered happened late enough that I couldn’t reasonably backtrack. I decided ultimately to cut it, and thankfully it stayed together once I wove in some additional reinforcement. Overall this was fun and a great way to personalize a hair accessory. These would be fantastic stocking stuffers for ladies of any age. 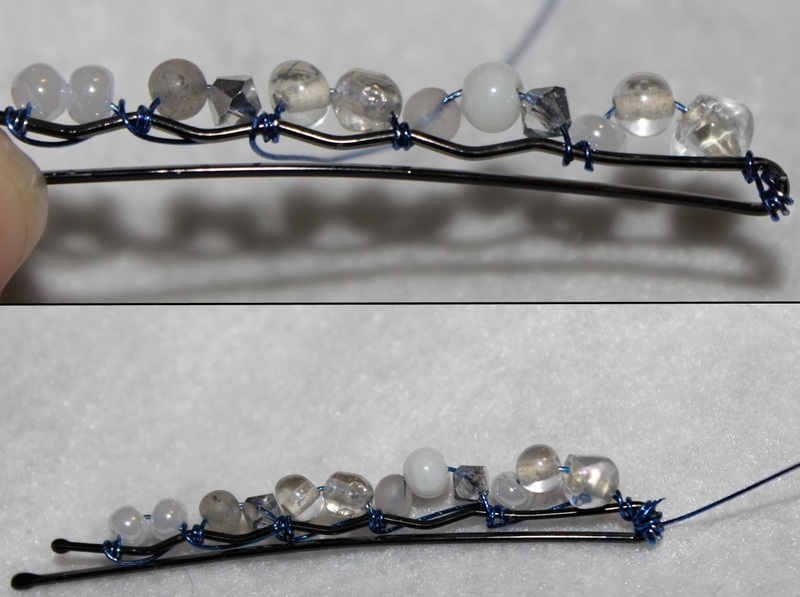 Of the two methods, I felt that the 28-gauge wire gave a lot more control and was easier to work with, but the end result for both ended up quite similar. Ra, ra, sis boom ba!… tomorrow’s project is a Cheerleader Hair Bow!